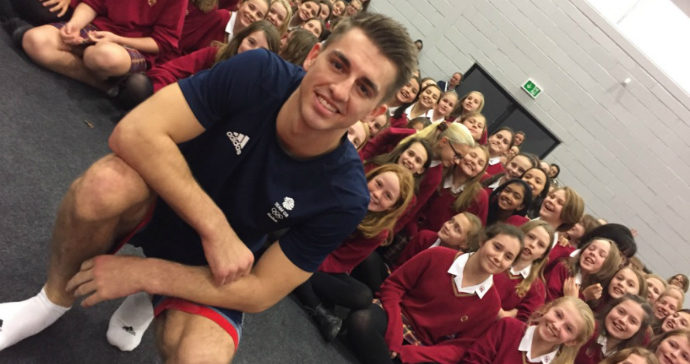 Double Olympic gold medalist Max Whitlock took to the floor at the Weald of Kent Grammar School to open their brand new sports hall that was recently completed by Dynamik in partnership with Ball Hall. The 690m2 hall features Dynamik’s Helsinki sports floor system, selected for the longer life span and higher performance than its timber competitors. Alongside the floor system Dynamik also provided the line markings along with their carpet tile protection to help transform the hall into a luxury venue for non-sporting occasions.